When in Rome, do as Romans do, as they say, but the advice may not work for Colorado, one of the few states where recreational weed is legalized. Tourists are turning up in hospital emergency rooms with marijuana-related complaints at far higher rates than local residents. 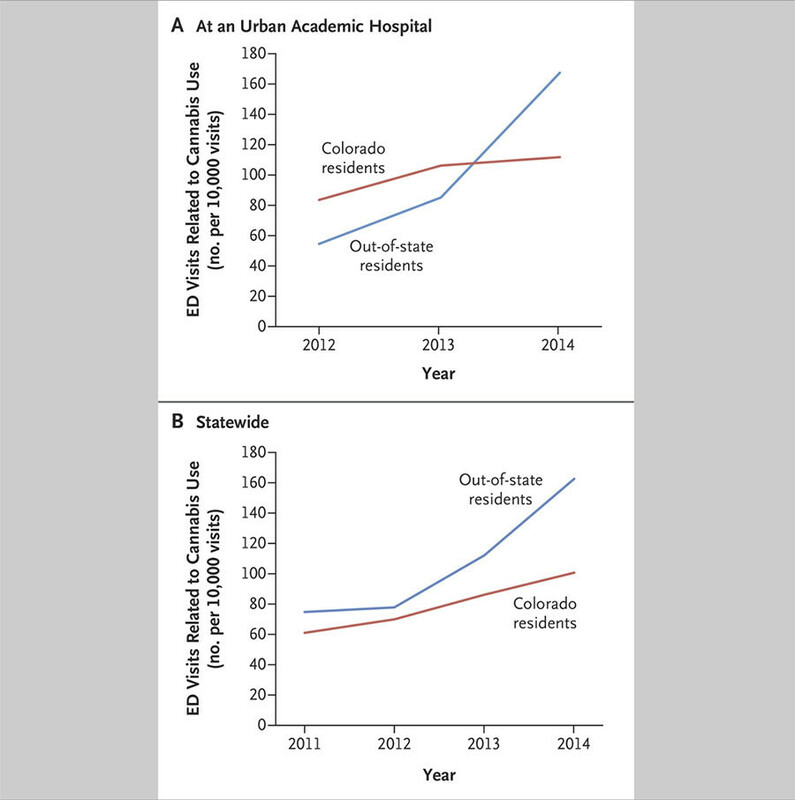 A study found emergency visits to the University of Colorado Hospital from people outside the state with marijuana-related complaints had climbed from 85 per 10,000 visits in 2013 to 168 per 10,000 in 2014, the first year of retail marijuana sales in the state. While the University of Colorado School of Medicine study doesn’t claim marijuana as the cause of the visits, it argues they are related. Andrew Monte, assistant professor emergency medicine and toxicology at the CU School of Medicine, and co-author of the study, told the Denver Post. The most common complaints for emergency visits were gastrointestinal, psychiatric and cardio pulmonary problems. Visits by state residents during the same period didn’t change significantly, going from 106 per 10,000 visits in 2013 to 112 the following year. 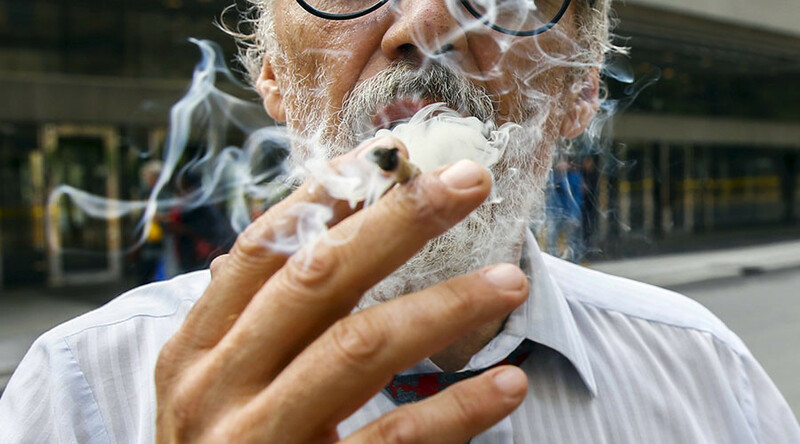 The study also found that men were two to three times more likely than woman among both groups to complain of cannabis-related ailments in emergency rooms. None of the cases were fatal. One theory put forward for the disparity in visits is altitude acclimation. The study also analyzed figures from the Colorado Hospital Association for visits statewide and showed a similar growth among people not from Colorado with marijuana complaints: 78 per 10,000 visits in 2012, 112 per 10,000 visits in 2013 and 163 per 10,000 visits in 2014. Again Colorado residents stayed steady at 70 to 86 to 101, respectively. Monte suggested other reasons could be that more people are using pot, and because it is legal more patients mention their use to their doctors. "There's more communication between patients and providers, and of course there's just more marijuana out in the community," Monte told AP. Another theory is that state’s weed has a higher concentration of THC, or tetrahydrocannabinol, the chemical responsible for most of marijuana’s psychological effects. It might be higher concentration than many people are used to, and visitors might not know. Edibles are also known to work slowly taking two to three hours to produce effects, and tend to stay longer in the system than marijuana that is smoked. People have to “understand, respect and acknowledge that this drug can exacerbate medical conditions,” Monte told the Denver Post. The study, “Marijuana Tourism and Emergency Department Visits in Colorado,” will be published Thursday in the New England Journal of Medicine.